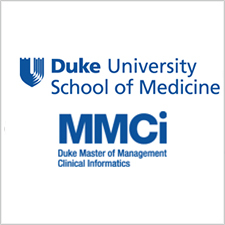 The MMCi program is tailored to the learning and career development goals of a diverse cohort whose business and health informatics capabilities are critical to health organizations worldwide. Hear directly from previous MMCi graduates about career growth. The weekend format accommodates professional work schedules but with the invaluable networking benefits that only a face-to-face program can provide. The MMCi program is the only weekend graduate / post-graduate health IT degree program that can be completed in 12 months. MMCi’s interdisciplinary curriculum is shaped by the most current market trends, developments and career opportunities. Students acquire immediately applicable knowledge and skills that give them the flexibility to migrate to a variety of functions related to the delivery of health products, services, and technologies. MMCi’s one-of-a-kind individualized career development and coaching program is tailored exclusively to the requirements and goals of MMCi students. Students engage regularly with industry leaders, renowned faculty, and a diverse and accomplished cohort. One of the most respected and well-recognized academic institutions in the world, Duke University has long been at the forefront of medical research, clinical care, and business education. The University has a record of ground-breaking achievements in health information technology, underscored by millions of dollars in related federal funding.